Looking for a fab project for 2015? This miniature fairy garden looks great, it’s about getting kids involved with gardening and it’s low care. Winning all round. 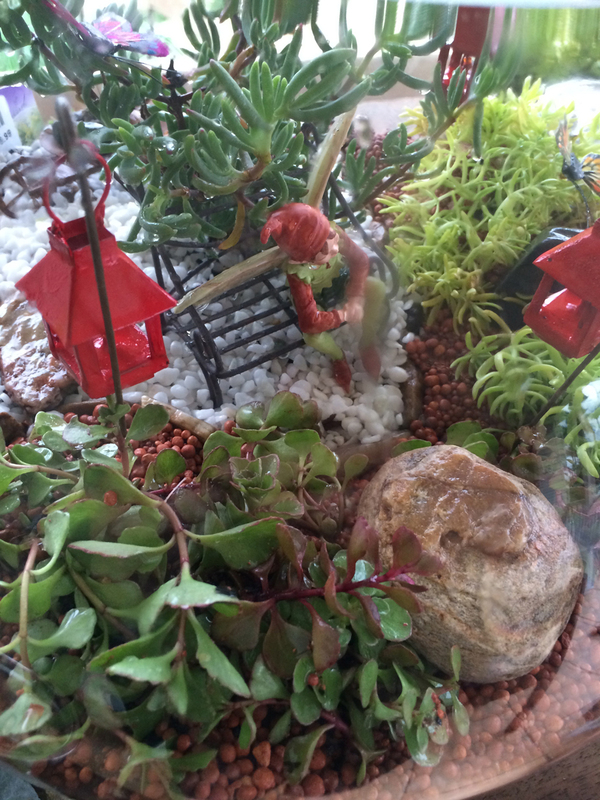 Renee from About the Garden puts her vast garden knowledge to use in this gorgeously creative fairy garden terrarium. It’s true, I have a mild addiction for creating succulent terrariums. They are just so beautiful, easy-care and require few materials, making them a unique living gift or table centrepiece. 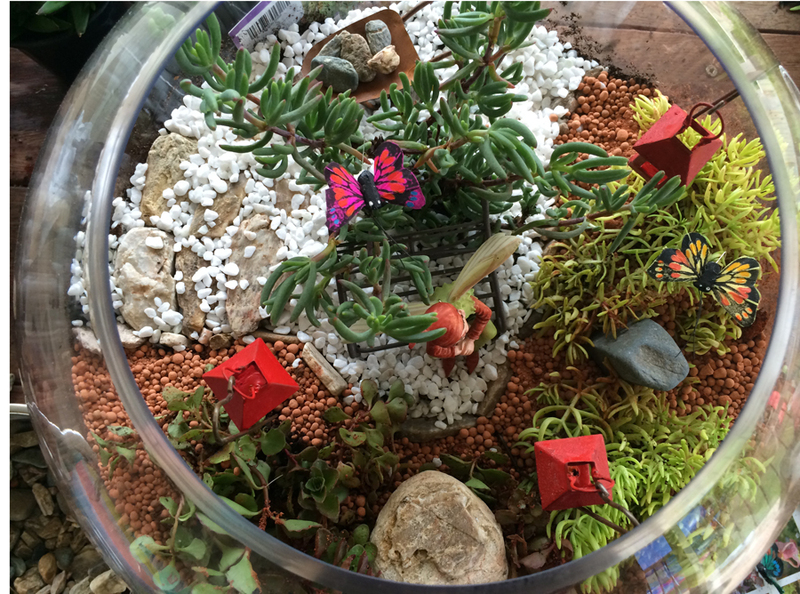 When I was given the challenge to create a fairy garden the decision was an easy one – terrarium! 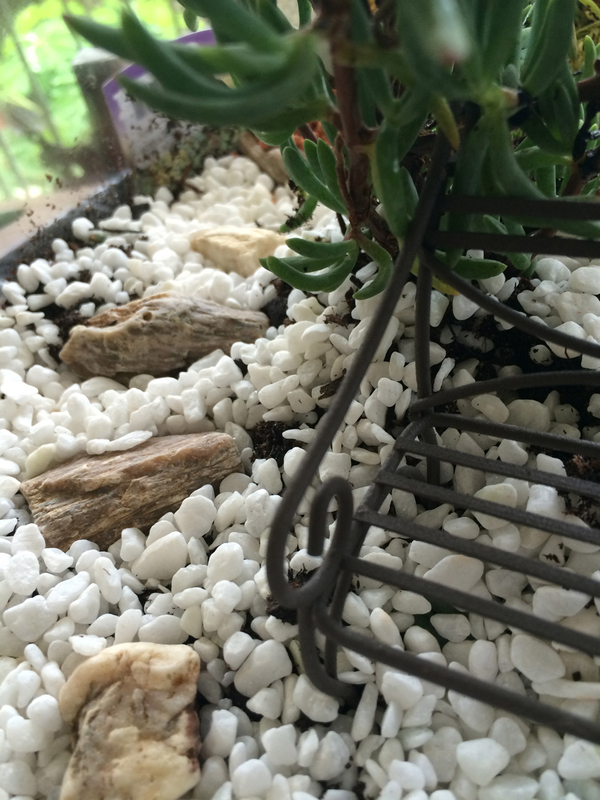 Here is how I created this adorable miniature terrarium fairy garden for our home. 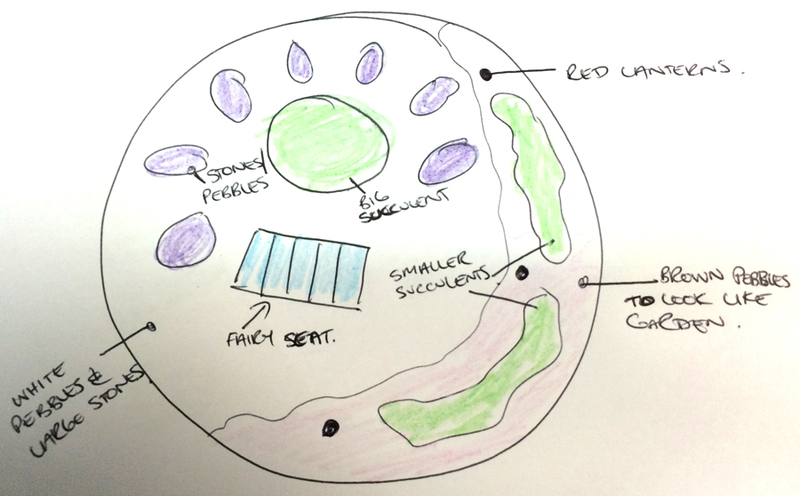 The first stage in designing a miniature terrarium fairy garden is to draft a design concept. Terrariums are usually very small, so there’s not a lot of space to play around with. It often becomes a delicate balance between adding more items to the display and trying not to damage the succulent foliage or break fairy ornaments. A quick drawing will save you much pain during the terrarium creation process. It’s also helpful when purchasing succulents and fairy ornaments to have an idea of the sizes and colours you will require to create something truly gorgeous. 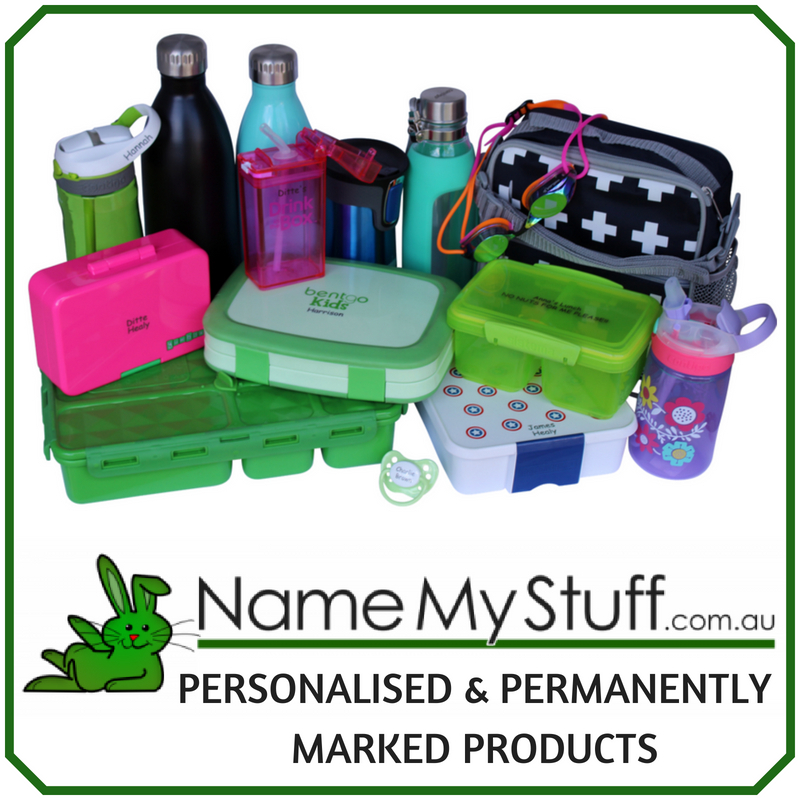 HELPFUL HINT: I found sifting through the My Little Fairy Garden website first before drafting a design was helpful in creating a general colour theme. I already had a large glass fish bowl, so I was aware of measurements restrictions. 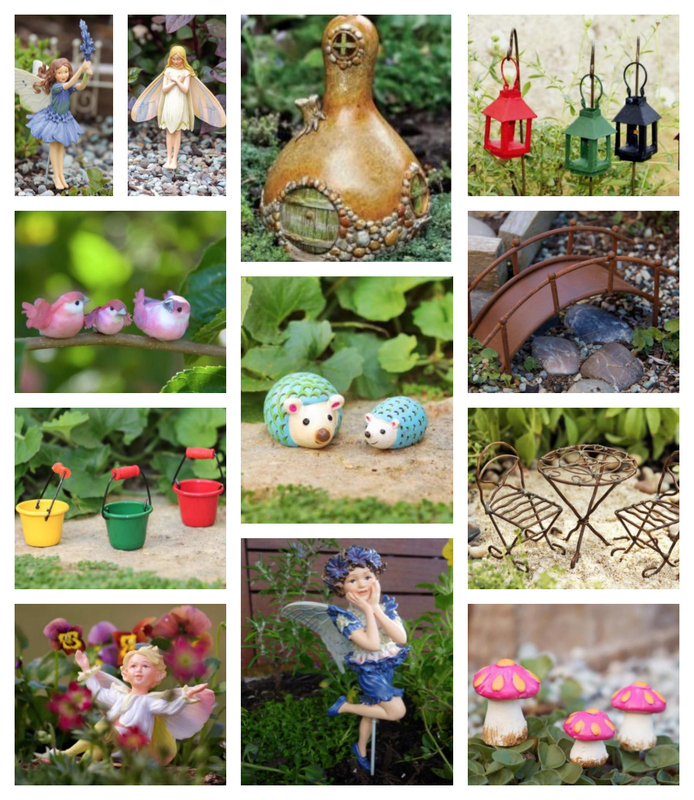 Some of the many different fairy garden accessories available. 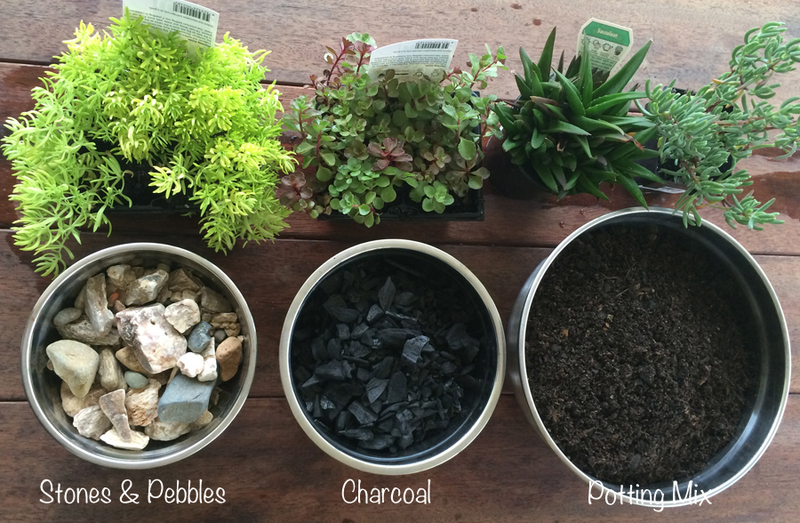 Potting up a terrarium fairy garden is surprisingly easy. Fill the bottom of the glass vase or bowl with approximately 4-6cm of charcoal. Charcoal is essential in draining excess water away from the succulent roots, succulents prefer a drier soil environment, too much water will see them rot. I’ve sadly killed a succulent terrarium by over watering. SPECIAL NOTE: You can also you peat moss or pebbles for drainage. Be mindful that pebbles and stones will add to the weight of your miniature terrarium. So if your glass vase or bowl is thin, probably best to avoid, as the additional weight may cause the glass to crack, especially if being transported. Fill the glass vase or bowl with 14-16cm of Searles African Violet Specialty Potting Mix. Over the past year of my mild terrarium obsession I’ve found Searles African Violet Specialty Potting Mix the best option for use in both indoor and outdoor terrariums. This potting mix is so good that with succulents I’ve discovered you only need to water every 3 or 4 weeks at most! 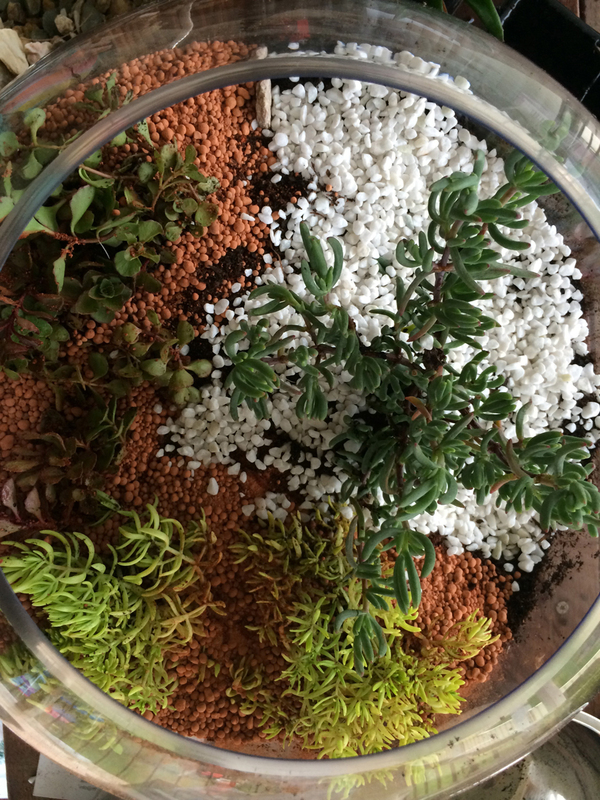 Referring back to your drafted terrarium design, start to move the potting mix around to make room for planting the succulents. Using your hand, dig holes deep enough to fit the plant ‘root ball’. Place the plants into location and move potting mix to secure them into place. You can add more potting mix if you believe it is required. 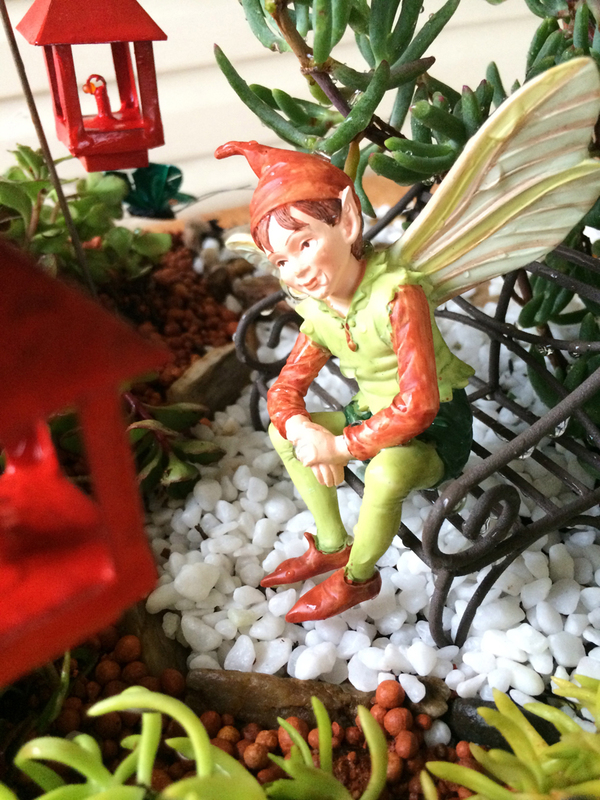 Now your miniature terrarium fairy garden is planted it’s time to decorate! This part really is the MOST fun, but care should be taken not to damage the succulent foliage, so remember to use a delicate touch. 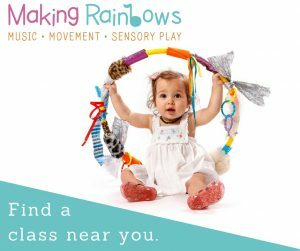 Now is the best time to add in coloured stones and pebbles. For my garden I wanted to create a garden path so I used different coloured pebbles to accomplish this and defined the area with a little stone garden edge. NOTE: you can purchase stones and pebbles from your local garden centre or landscape supplier. Alternatively it’s always fun to visit a local creek or beach to forage for pebbles and shells. 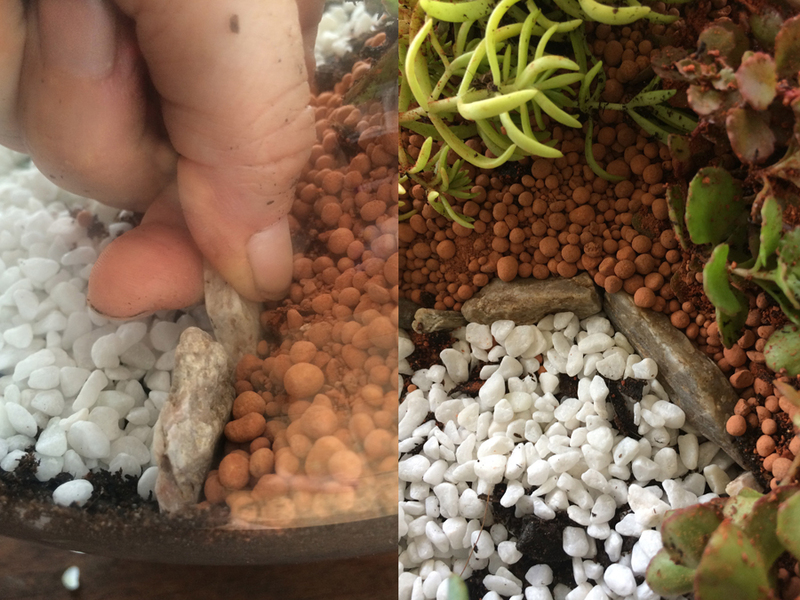 To add pebbles into your terrarium, cup your hand and allow the pebbles to roll into place, along the edges I’ve always found it helpful to roll the stones off the glass. 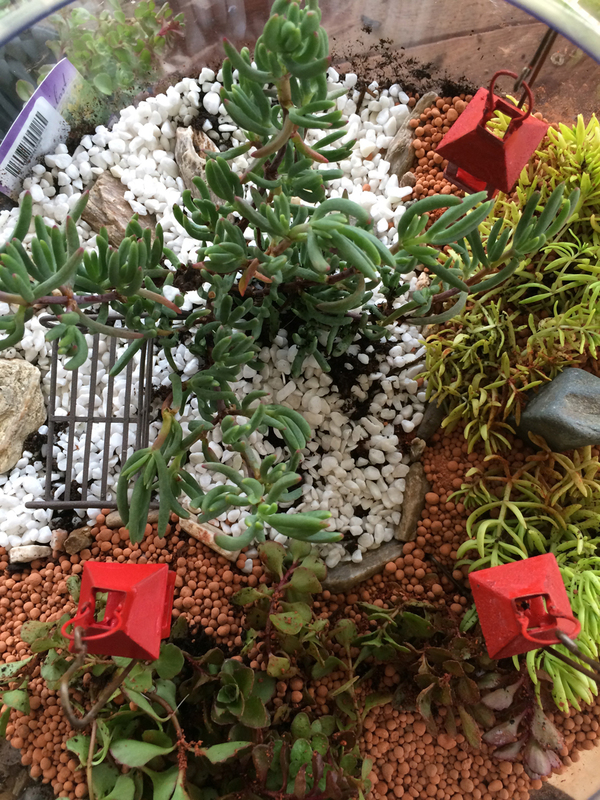 Remember to lift foliage and place pebbles underneath. TIP: To keep the terrarium looking clean after watering, it’s a good idea to have 1-2cm of stone across the terrarium surface. Whilst you may have designated locations for your fairy terrarium in the initial design, the reality is you will need to move things around to get them to fit in the space as succulents may be larger then originally planned or you’ve had a fabulous new idea for lay out. . You may also discover that you require less then you’ve purchased. I removed a delightful light garland from this miniature terrarium as it was too busy. Remember the golden rule: LESS is MORE. Watering. After you’ve finished creating your terrarium you need to water. 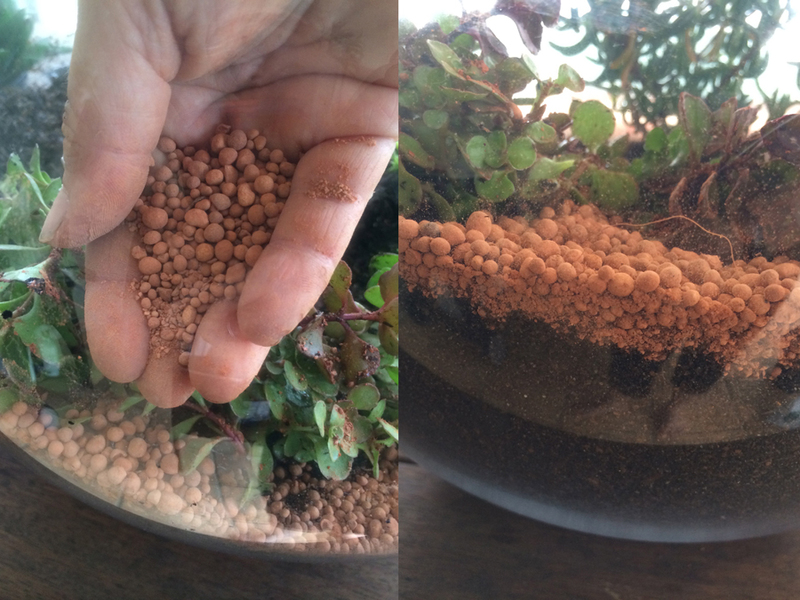 To decrease the possibility of potting mix pushing up through the stones and pebbles, use a spray bottle to water your miniature terrarium fairy garden. Alternatively I’ve found a pop-top water bottle is fantastic, I squeeze and allow the water to run down the inside of the glass bowl. Remember not to over water the terrarium. What you should expect to see is a small amount of water in the bottom around the charcoal. 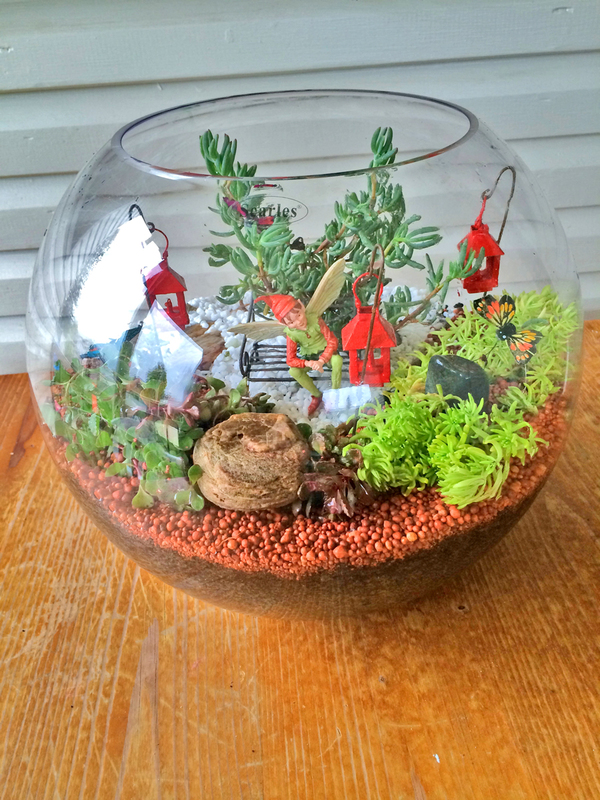 Terrariums make for gorgeous nature displays for inside your home. My dinning and living areas have lots of natural sunlight, so I’ve never had an issue with succulent terrariums. However, if you find your terrarium fairy garden plants are under performing, just pop them in a sunny spot for a week or take them on a holiday outside. Plants need sunshine to flourish. No matter how small your yard, if it’s raining or hot, everyone can have this adorable fairy garden in their home. It’s just another reason why terrariums are awesome. I love this! I have a tall glass jar that this may work for. Any tips for tall jars? I am definitely saving this one! The process is basically the same Nicole, just amend the charcoal and potting mix measurements depending on the size of the glass vase or bowl you are using. 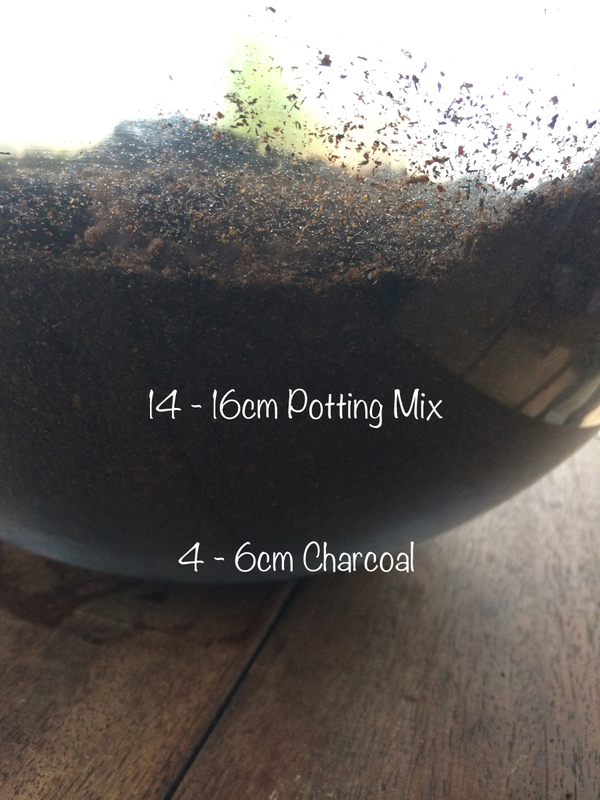 You want the charcoal to be about a 1/4 of the height of the potting mix you plan to put in. With the potting mix being deep enough to hold the plant root ball (you know the part that’s got all the dirt and the plants roots) in place. Succulents are kind of awesome, as unlike many other plant species they can flourish in very little soil. But remember that DRAINAGE it is pretty key for these little fellows. With a tall jar you could probably go for taller succulents. It’s always a good idea to either take the jar with you when shopping for your plants or take some measurements so you don’t end up buying plants that are too big. If in doubt, have a chat with the garden centre horticulturalist. When I went to purchase my succulents, I also looked for contrasting foliage colours to really make the terrarium POP. 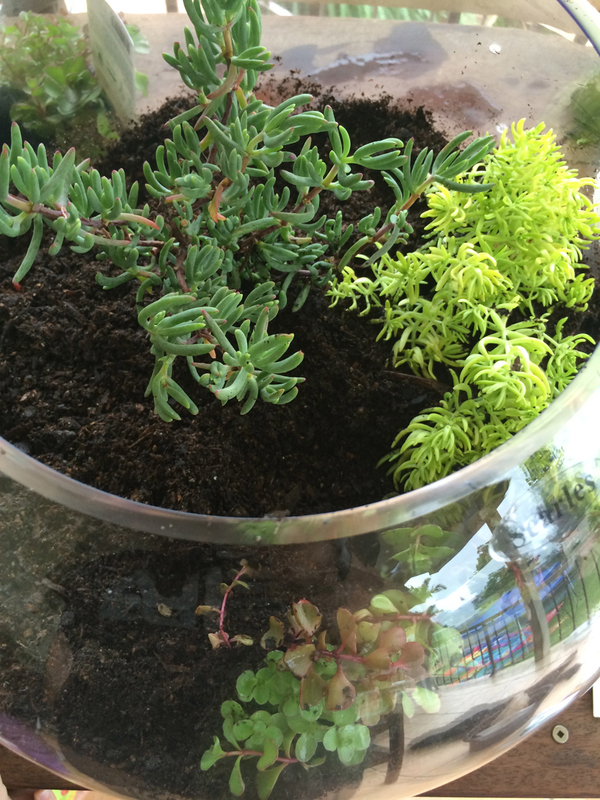 The light green small foliage succulent in my terrarium is a Sedum, as is the other succulent in the ‘garden’ area. The main succulent (the one that looks like a tree) is a Mesembryanthemum (or pigs face) and should fill my terrarium one day with delightful pink flowers! WOW! I make my own business cards too..using various stamps… I love the idea of using washi tape..I have been wanting to get some for quite some time, I just need to do it! haha It's one of those things that I just keep putting off. Why oh why??! Great post! Love your creativeness! Thanks for this step by step tutorial Renee and making it so achievable! How fun to have this sitting on a table somewhere! Just gorgeous. It’s looking really cute on the side table in our dinning area. 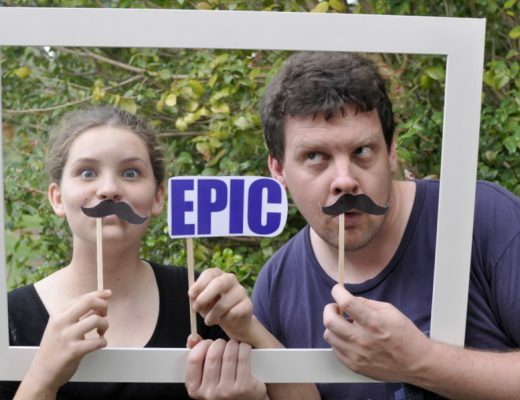 Both my children are totally in love with it. They literally sat in front of it last night for 30 minutes talking about how they are the ‘luckiest people’ to have a fairy garden. Wow, it’s so cute idea! Such a small magic garden would be a perfect home for my daughter’s elves and fairies. She’s now to her grandmother for the summer and this would be a great surprise for her. Thank you for the idea!